There’s lots going on all over the show Ground. 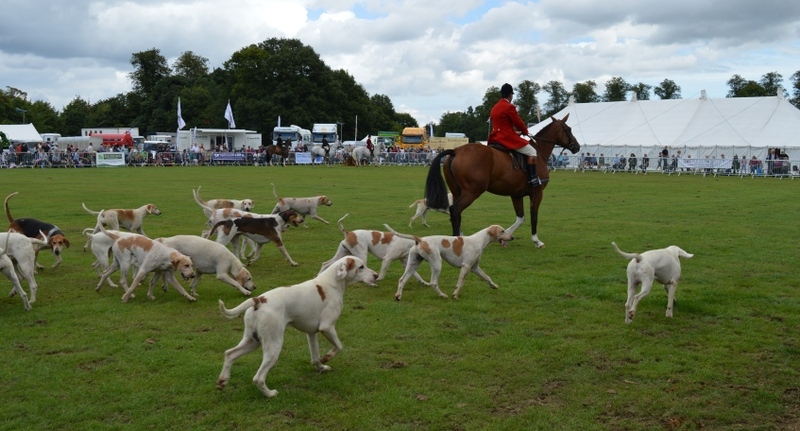 As well as the main ring entertainment, there is the Light Horse Field where the majority of the light horse classes and judging take place. Its right next to the Food Court so you cant miss it. There will be over 150 Trade Stands to visit, with everything from tractors to jam, clothes to beer on display to view sample and buy. Foodies should check out the Food Marquee with its stalls laden with locally made produce and local craftsmen and artists will be in the Craft Marquee. In addition to the individual stands, the Retail Marquee hosts dozens of smaller traders with unique and interesting goods and produce on sale. A visit to the Livestock Section is well worthwhile and, as well as the impressive and beautiful gentle giants that are the Shire Horses, also includes the cattle, sheep, goats and poultry sections. Elsewhere on the Showground, the Craft, Produce and Arts competition marquee houses local producers and artists showing their skills and competing for prizes.